The planet is suffering from a series of crises: crises in the environment, society, economics, and ecology. There is also a crisis of perspective: how to place oneself in the context of life on earth; how to see our home in a larger worldview; how to justify our lifestyle choices in relation to our fragile planet. It can be overwhelming and difficult to navigate through these questions yet everyone is seeking the answers. 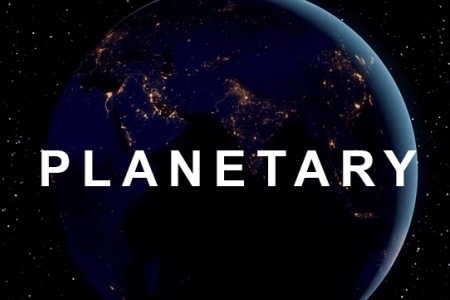 Planetary proposes a shift in culture; a new way to see our planet and each other. Some of the greatest thinkers of our time offer insights on how to achieve a sustaining global society. With intimate interviews from renowned experts including astronauts Ron Garan and Mae Jemison (the first African American woman in space), celebrated environmentalist Bill McKibben, National Book Award winner Barry Lopez, anthropologist Wade Davis, National Geographic Explorer Elizabeth Lindsey and Head of the Tibetan Buddhist Kagyu school, the 17th Karmapa and others along with stunning cinematography and a remarkable soundtrack, Planetary shows us that the guidance we need comes from within.